A girl recently turned yellow after drinking a bad ingredient in Chinese green tea -- but don't let that sour you on its tremendous benefits. We recently reported on the alarming case of a 16-year-old girl in the UK who turned yellow after contracting hepatitis after drinking green tea she bought online — but don’t worry, green tea is indeed all it’s cracked up to be. 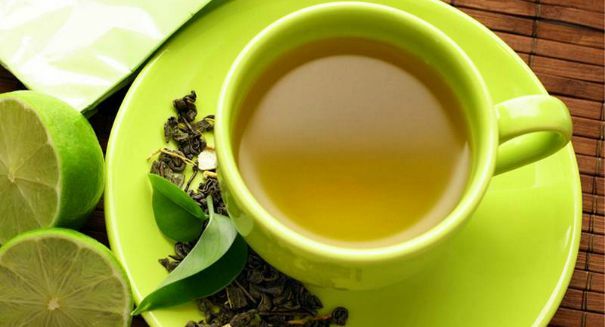 The girl had apparently purchased a green tea with a little extra in it, and the additional ingredient caused her to get hepatitis, which is severe damage to the liver that resulted in jaundice, stomach pain, and eventually hospitalization. She’s since recovered, and has vowed never to purchase such herbal remedies online again. But despite the bad experience, don’t be worried about green tea, which is extremely good for your health. In this case, it wasn’t the green tea that caused the hepatitis, but rather an extra ingredient added to it by a suspect online company. In reality, regular green tea is loaded with health benefits. Some doctors would even call it the healthiest thing you can drink, according to a WebMD article. While no substance by itself can protect you from illness — that has to come with a regular regimen of good diet and solid exercise habits — it goes as far as anything else you can consume can. Green tea’s greatest benefit may be its catechin content, which are antioxidants that can prevent cell damage. Because green tea isn’t processed, it has quite rich in catechins. Studies have sung the praises of green tea, showing that it can improve the flow of blood and lower cholesterol in the body. Green tea appears to fight a range of heart-related issues, and could help prevent heart failure and lower blood pressure. And because it’s good for your blood, it’s good for your brain too, since brains need good blood flow to stay healthy. A Swiss study mentioned int he reported noted that people who drank green tea showed better memory abilities, and it seems to stop the formation of plaques that are tied to Alzheimer’s. Then there’s how it affects people with diabetes. Green tea has a positive effect on blood sugar, in that it keeps it stable. Catechins lower cholesterol and blood pressure, but they also protect against the damage from a high-fat diet, according to the report. Although green tea won’t immediately cause you to lose weight, EGCG, which is the active ingredient in the drink, has been shown in some studies to cause some weight loss, although some studies show no difference. Still, if you can start drinking green tea instead of sugary drinks, there’s no question you’ll lose some weight. In fact, you could save 50,000 calories by simply swapping out one or two cups of green tea for one can of soda over the next year. That would amount to a weight loss of 15 pounds, all from one simple change — that is, as long as you’re not filling your tea with honey, cream, or sugar. But what about cancer? That’s a bit tougher to answer, but green tea does appear to help healthy cells as they grow. There are some indications that it may help stop cancer cells, but the research is inconclusive on that subject. The National Cancer Institute is neutral on the subject of green tea, meaning there is no evidence for or against it helping stop cancer. Finally, there’s the question of green tea and stress. Sipping a hot cup of green tea can help you relax, and there is a chemical in green tea called theanine that can help calm you. This alone can lower your blood pressure and prolong your life, if you make this a regular practice. In addition, it just makes you feel good, and that’s always good for your health. Of course, there is a right way and a wrong way to prepare green tea. First, you should add the tea to boiling water, as it is bad for the catechins mentioned earlier, so wait until the water is about 160 to 170 degrees. Then, add lemon, which is loaded with Vitamin C and will make it easier for your body to absorb the catechins. Also, take note of what brand you’re buying: if you buy the bargain brain canned drinks, there’s not going to be as many nutrients, whereas the pricier teas are likely to offer all the health benefits.